Symbols can be universally read, they do not require a language to be learned in the traditional sense i.e. through writing, reading and speaking. Where many do agree that symbols are created with the purpose of displaying meanings of varying degrees and depths to them, only a minority believe that they also hold an inherently good or evil nature to them. Inversion is the reversal or polar opposite of something from its original or initial state. To invert a symbol is to flip its visualisation over, and thus all its definitions are switched correspondingly. To follow an inverted symbol is to rebel and totally go against its original order of things and instead forge ahead in the direct opposite direction. Derived from the Greek meaning of "five-lined", the pentagram is an image of a star composed [drawn] from five straight lines that interconnect, thus making a five-pointed form. In its regular state, a pentagram has five isosceles triangles that point outwards with one of these facing up, surrounding an internal pentagon that faces downwards. Its important to know some examples of the meaning behind the symbol in its original incarnation before delving into its opposite equivalent. Usage of pentagrams can be traced back as far as to 3000BC with the Sumerian Empire of Mesopotamia (present day Iraq), with the glyph invoking to have meant "heavenly body" at that time. Ancient Hebrews related the pentagram to the Pentateuch, the Five books of Moses. In the 5th Century BC, the Pythagoreans of the Ancient Greek Era adopted the pentagram as their symbol, and often called it the pentalpha as the symbol looks like it's made up of five letter A's; alpha is also the first letter of the Greek alphabet. Named Hugieia (after the Greek Goddess of Health, Hygieia), they saw the pentagram as a perfect shape as it embodies the golden ratio; where the individual dimensions of the form are in exact proportional relation to each other. The pentagram was also the symbol of the Greek Goddess of vegetation and agriculture, Kore (aka Persephone). 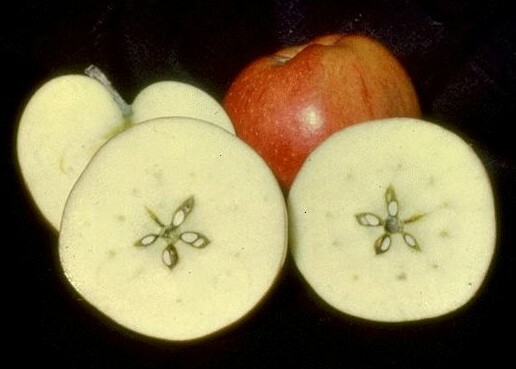 Kore is synonymous with the apple, which when cut in half right through the equator shows a form from the pips at the core that resembles a pentagram. 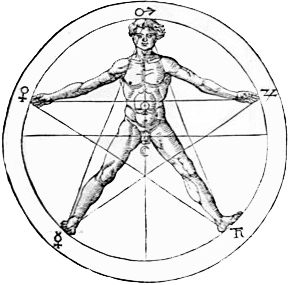 Early Christians used the pentagram to represent the stigmata, or the five wounds of Jesus Christ upon his crucifixion. Another meaning within the Christian faith is that three of the points expresses the Trinity, with the remaining two for the two natures of Jesus. 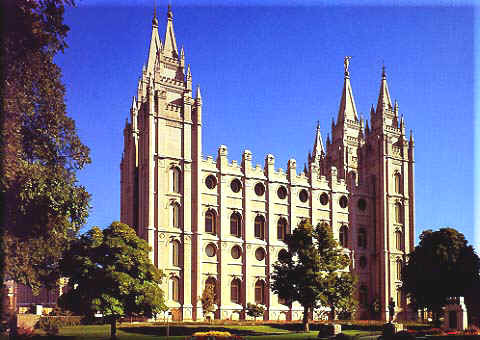 Not just being limited to Europe and parts of the Middle East, the pentagram has been used elsewhere in the world. 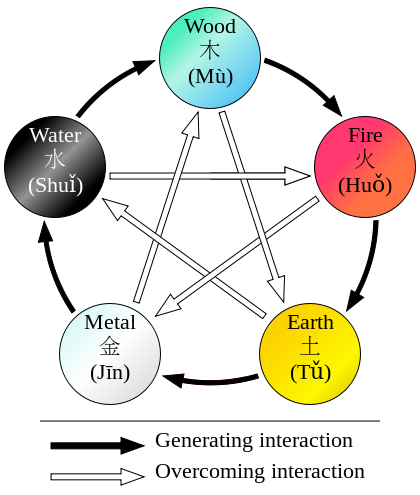 Deriving from China but used widely throughout Far East Asia is the symbol of the Wu-Xing, or the philosophy of the Five Phases/Elements. Wood, fire, earth, metal, and water represent each of the pentagram's points, and show their interdependence on each other.Elsewhere, the pentagram was the symbol of Morrigan, the mythical Celtic Goddess of the Underground, in Egypt, it was the symbol of "the underground womb", and as a godhead for the Druids in parts of Galatian Europe. 15th Century German occultist and writer Heinrich Agrippa (1485-1535) applied the more Western theory of the Four Elements [material] (or Classical Elements) of fire, earth, water, and air, with the addition of the fifth element of the spirit mapped upon the human form. visualisation shows the concept of the spiritual, or the mental factors having precedence over material, spiritual health triumphing over material gratification; "mind over matter" to be precise. Putting this in a literal sense, imagine living your life upside down - would it be a comfortable way to exist? Whilst the verted [upright] pentagram has been used within varying cultures from far and wide dating back centuries, its inverted counterpart has a much shorter lifespan, but a nonetheless its connotations are equally as strong. 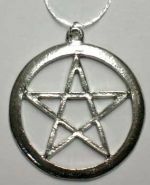 For many Centuries, the pentagram has been used as a good luck charm and a talisman of sorts such as amulets for necklaces or as rings, so as to protect the wearer from evil sprits and demonic forces. The same theory is applied when pentagrams are hung on doors and windows to safeguard homes from any unwanted sinister interdimensional attack. 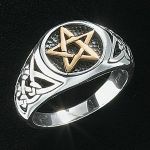 Often when used in this fashion, the pentagram is encircled, and becomes a pentacle. The circle of the pentacle stands for eternity and the never-ending circle of life. Both pentagrams and pentacles are used extensively within the practices of Wicca (or Witchcraft). Although inverted pentagrams are only used sparingly e.g. 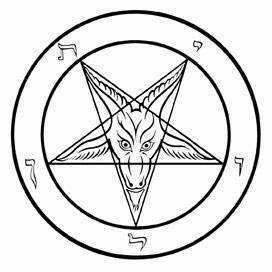 as part of the initiation process of second degree Gardnerian Wicca, there is a somewhat wrongly attached stigma of the inverted pentagram to Wicca, as Wiccans/Witches generally pertain to not actually believing in a devil in any way. Early indications of inverted pentagrams can be found such as within the Seal of 4th Century Roman Emperor Constantine I, who used it to express his conversion to Christianity. It also features on Mormonist architecture. 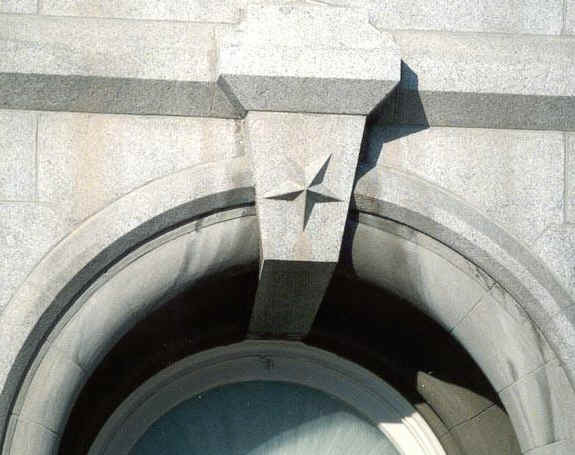 Some sources note the usage of the upside-down star to symbolise Jesus Christ as the morning star, and his descent from Heaven to Earth before his "birth" as a human, however there is a much debate over whether the morning star is Jesus or Lucifer. In modern times, Satanism has arguably the biggest connection to the inverted pentagram. Another occultist and writer features heavily, as Eliphas Levi (1810-1875) is strongly regarded to be the first to imply that a verted pentagram has good properties, and the inverted one to have intrinsically evil associations. 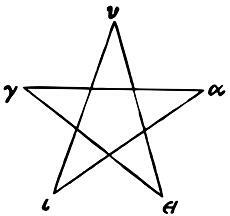 In the 19th Century, Levi created a pentagram of his own, and is his visual interpretation of the tetragrammaton, the ancient Jewish Hebrew written text of God's name (the original of which is written within it) . It however is a symbolisation of the human as a microcosm, a miniature version of the universe; a complete system functioning from the base structure of the four material and the fifth spiritual elements. Levi's dual meaning within his customised pentagram suggests a similar message to the doctrine which is at the heart of the Pantheistic branch of the New Age movement, where God is the whole universe, and everything (including mankind) is a part of the universe; a part of God. 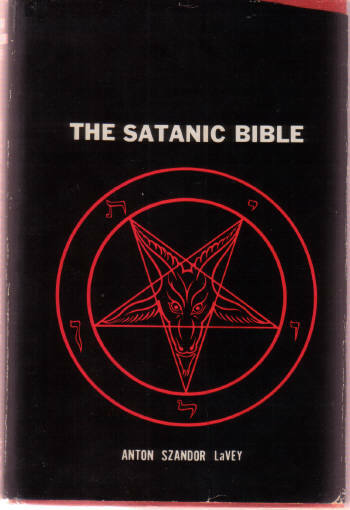 The usage of the inverted pentagram really set in motion upon the creation of the Church of Satan in 1966. Its founder is Anton LaVey (1930-1997), yet another occultist and writer, and adopted the sigil of Baphomet (a goat's head placed within an inverted pentacle) to be the insignia of the organisation, which is especially apparent on the front cover of the movement's core manifesto, The Satanic Bible. 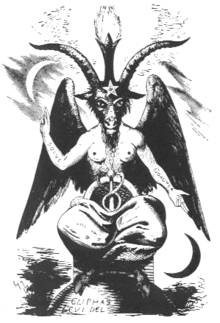 Baphomet (aka Goat of Mendes) is an androgenous pagan deity which represents the knowledge of dualism (the system of opposites working together in a balanced fashion) and using it in order to achieve perfection. 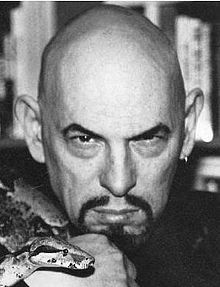 Although knowing this, LaVey and the Church of Satan focus on Baphomet's goat head, which only expresses one side of opposites. The goat head is an iconic depiction of satisfying man's material and carnal desires, lusts, and wants, yet dismissing the need to do what is good for the spirit and mind. What is also apparent is that the phallus of Baphomet (represented as the Caduceus, a rod intertwined with two serpents) is seemingly erect and upright, and symbolises eternal life and fertility. The inverted pentacle is the logo of the Order of the Eastern Star (OES), an organisation heavily tied to freemasonry, in which both men and women can be members. The decorated pentacle features highly regarded biblical feminine figures to the OES (those being Adah, Ruth, Esther, Martha, and Electa), each one taking one point of the star. nothing really explains and defines how each version of pentagram lists five different symbols. Some are five planets, the point up has a different set of Hebrew (?) letters than the point down, I saw one with ten letters, I did note that some use spirit = wind as one of the five, and use AIR which is the same so using both is inapropro.